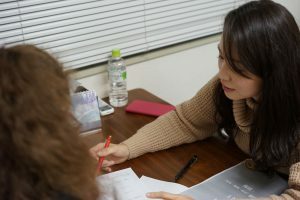 Japanese lessons take place in our school or in the neighborhood to practice with your Japanese teacher, any time between 10:00 am and 9:00 pm. The hours are flexible depending on your schedules and the availability of your teacher. The number of hours you are studying is at your discretion. Each lesson is 55 minutes (the last 5 minutes of the hour are reserved for assigning homework and making the next appointment). Lesson can be extended in 30 minutes interval, for example, to 1.5 hours or 2 hours upon request. The frequency of lesson can also be changed. Osaka 10:00 – 21:00 = Paris 03:00-14:00 (2:00-13:00 in winter) = Washington 21:00-08:00. Free trial lesson is one hour and is divided as follows: 20 minutes for school management and work explanations, and 40 minutes of teaching class with the instructor (language proficiency test, training program). The trial lesson can be done via Skype before you come to Japan. All our teachers are native Japanese speakers with university degree and solid education background to teach Japanese language. Our team can speak French, English, Spanish and German. We provide assistance for exam preparation, visa applications, tourism or any travel issues in Japan. Check out the teacher profiles! 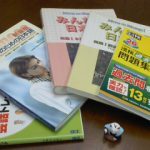 Our lessons are based on major Japanese textbooks such as “Minna no nihongo” and “Genki”. Communication and role playing, and interactions are the main focus. Our teachers use Japanese as much as possible during the lesson. The use of English will depend on the student’s Japanese level. You and your teacher will decide together on which textbook to buy. We can provide you photocopies (or scans for Skype lesson) during the first lesson to try the manual. You should buy the book after your lesson at our school or by yourself. A personalized teaching program will be created, based on your objectives (JLPT, University, tourism, work, etc. ), your current level and learning style.